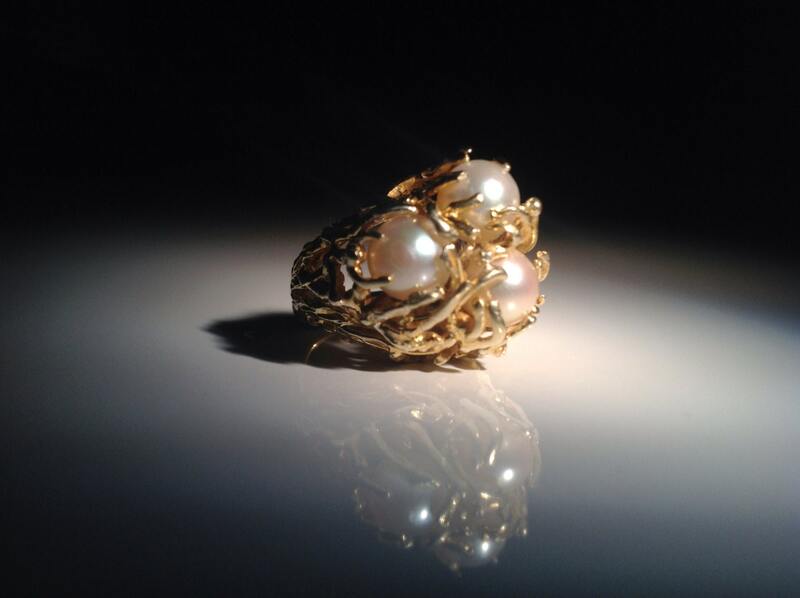 This heavy handmade 18 KT Gold ring has 3 nested pearls prong set in a modernist 1960's setting. 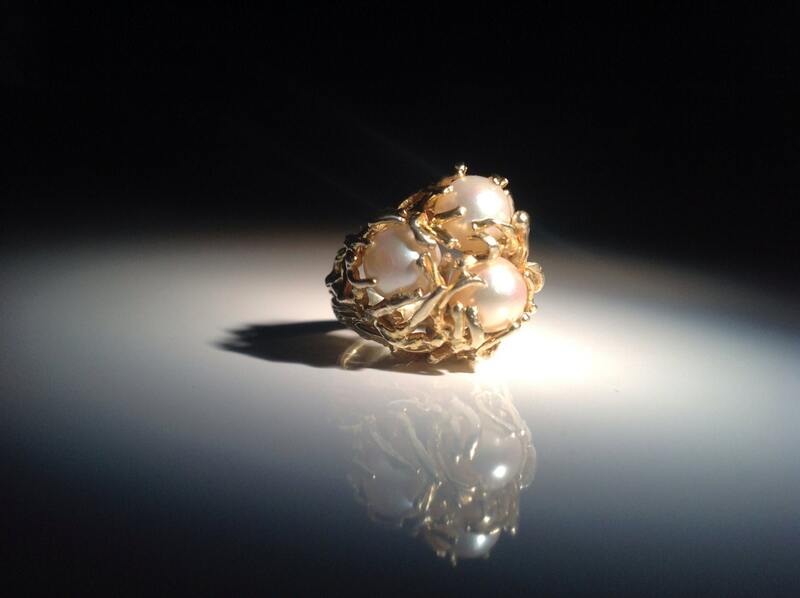 The way the explosive aquatic design cleverly cradles the pearls is certain to grab attention. 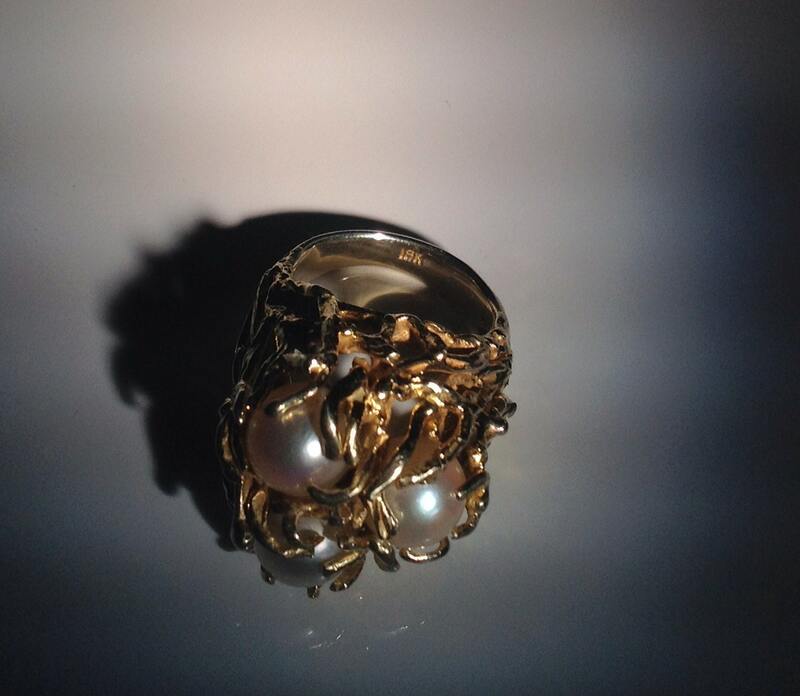 This ring is like some people-- a complex bed of coral or seagrass in which is hidden a treasure. Ring weighs a hefty 15.6 grams and the band is 3 mm at the narrowest. Size 6. Stamped clearly 18K. This ring comes boxed. Condition is good, but used. 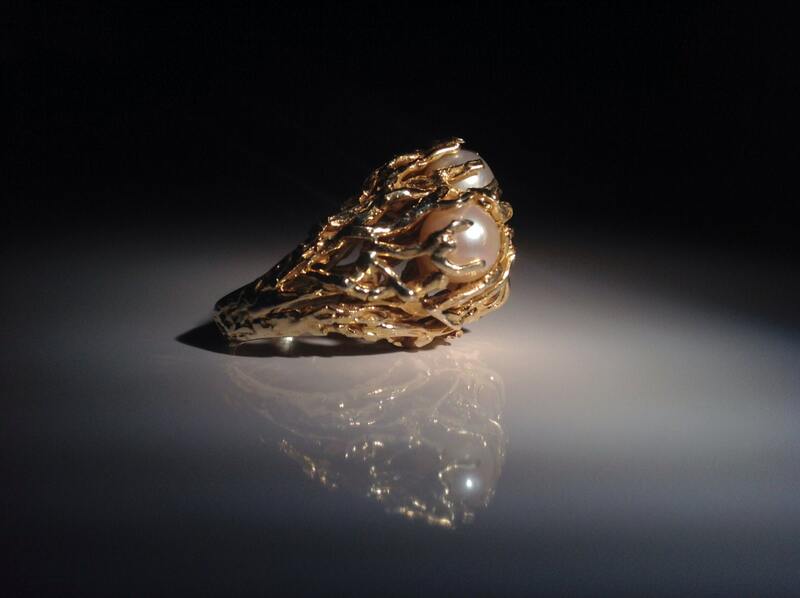 There is minor nacre loss on the surface of two of the pearls as shown and there is some wear to the gold at the underside of the band. Someone cherished this piece. N serious issues. 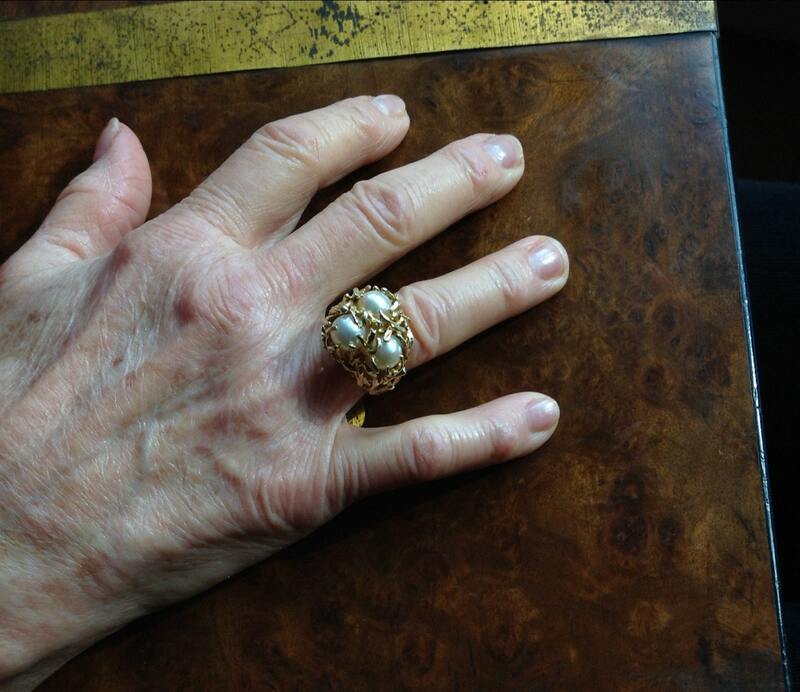 Because it has so much gold, the ring is really solid and high quality. Sizing is available on this ring. It takes 1-2 weeks and I can provide an estimate based on the needed change. Convo for details.